Delivering Pamphlets for the New Zealand Green Party, Coexisting With Nonhuman Animals and Invercargill Vegan Society Facebook groups (please "like" them! I need to be "liked"! ), Vegan Childrens Books in the Invercargill Public Library. 29m 11.22.63 Changes in society, smoking tobacco, racial segregation, man on the moon! 38m Kanye West, from "tell PETA my mink dragging cross the floor" to "eating good, vege-tary with the brown rice"
Episode 84, a great number, setting of that book written by Eric Arthur Blair in 1948 about the police state, a time when a young DARK skinned Michael Jackson was on top of the charts with Thriller. And 1984 is also the year of the first Apple Macintosh computer, The Mac being released and forever changing the world. Episode 84 of Coexisting With Nonhuman Animals is an episode all about changes over time. So whats been happening since the last episode? Well, I'd be boring you even more than usual if I told you everything, so check out the blog to see for yourself, www.coexisting.co.nz . Last episode I mentioned the Coexisting With Nonhuman Animals Facebook group too, it was on 500 something members. Now, theres currently over a thousand, thank you to everyone who's "liked" the page :-) If you enjoy the show, I'd appreciate if you'd give it a "like" too, you'll find our Facebook group on the blog, coexisting.co.nz , or by searching for the shows name on Facebook. Invercargill is currently having a city council election, some guy on the council board left or something, and so they have to find someone else to sit still and be quiet in his place. I have not one but TWO Facebook friends running for the position, Steve Broad, a well known Invercargill man who appeared on a nationwide talent show and nearly won, and my friend Rebecca Amunsden , a local historian and community activist. I know Rebecca through Transition Towns, where she leads us in planning for a more sustainable Invercargill, you know, making sure Invers gets good miles to the gallon and everything, an efficient place to live. Rebecca part time works at the Invercargill Library, working with oral history, recording peoples voices while they tell their stories of how things used to be. I'd wanted for the Invercargill Vegan Society to donate some books on Veganism to our public library for a while now, and thought by striking up a fake friendship with Rebecca, and slipped thirty pieces of silver into her palm, that maybe she'd help get our propaga…..brainwash……BOOKS in the library. I joked to Rebecca that if she could help get the Ruby Roth childrens books in, that she'd have bought my vote. She was cool with that, and so was I, much cheaper than 30 silver coins! Actually…….the cheapest silver currency we use in New Zealand are the twenty cent piece………….30 times 20 cents….thats six dollars or so, right? And the damn books cost double that each……..I've been screwed over! Damn you Rebecca Amundsen! A TRUE friend would have told me the 30 pieces of silver 20 cent coins would have been CHEAPER for the bribe I was paying you! We managed to get Vegan Is Love and Thats Why We Don't Eat Animals by Ruby Roth into our library. Its really exciting to think that we've gotten our propaga…..brainwash……..BOOKS into the public water sup……..general populace's bloodstrea…….public library circulation. If it wasn't for our emergency Invercargill Vegan Society potluck, I would have went to the debate and asked Rebecca a couple of easy questions, in disguise of course. I'd have bought a fake moustache from the two dollar shop (where everything costs two dollars), and worn a fedora with a trenchcoat, so I'd blend in and look like everyone else in a North Invercargill church at 7pm at night. It would have went a little something like these two Simpsons clips, from two different episodes, but both about Mr Burns. You can see which Simpsons episodes in THIS episodes shownotes. Last month we had a great potluck, one of our best yet! And at Wednesdays potluck, held the same night as the candidates debate, we had Australian friend Justin join us, about his Vegan hotdog business. "Hellhound Hotdogs", great name, great logo, and great vegan streetfood! I've interviewed Justin before, on Episode 72 "Vegan Food …….From Hell"
That was a cosy, small potluck, Dan, myself, Justin, and a brief cameo appearance from Kerri. Kerri also makes an appearance in the photos I took of the Vegan books at our library, posing in the childrens department with 6 year old vegan son Jess. Before Justin had to leave the grand city of Invercargill, we managed to have three days of wild and wacky adventures with him. We saw "Men in Tutus", the male comedy ballet that he was tour managing, we showed him around Invercargill, and we drove to Bluff, bottom of the South Island to take some photos of him at World War II gun emplacements. Big concrete bunker like buildings where huge cannons were kept back in the day, just in case New Zealand was invaded. You can see photos from both the July Potluck AND August Potluck on our website. If you go to www.invsoc.org.nz, and then the events page, you'll see them both there. You'll also see links to Justins adventures around Invercargill too. Thank you to everyone at our last two potlucks, gee, we keep having them, right? Theres ANOTHER potluck this Friday too, with guests from around New Zealand coming for this one! Wellington, our capital city, which is sending its fair daughter Ms Julie Gunn - host of radio show Animal Rights and Wrongs. Then theres apparently a couple people from Queenstown coming down, a beautiful snowy mountains, lakes tourist town, someone from rural Southland coming with Russell, and possibly a woman from Auckland too! I hope I have enough chairs for everyone! I've recently finished two Stephen King audiobooks, his latest about time travel and stopping the JFK assassination, 11.22.63, and classic novel Carrie, about a telekinetic girl who blows up "Prom Night". Both have examples of unusual culture, of how people thought and acted at the time, what was normal for the …..Period. The audiobook version I have is actually read and acted out by Sissy Spacek, the woman who played the main character in the movie, all these years later, after being the naked shower scene girl who set fire to things, now she's here reading the audiobook version! "Holy hell! I'm the prince of darkness, lord satan himself, but its a middle aged Religious woman with a broom! I'm getting my tailed behind the HECK outta here!" ha. Of course, the main events of Carrie involve the dreaded PROM NIGHT. Back in my senior years at religious school Verdon College, a Catholic school, where "The Godless Reds" were apparently going to put us all up against the wall and shoot us, we had two proms, although in New Zealand we call them a "ball", two school balls. I even had a couple young women who wanted to go with me, go figure! But did I go with them? Nope. Because while they apparently hadn't learnt much from school, I'd studied the Stephen King documentary Carrie - *I* knew what happened on Prom Night, EVERYONE should know what happens on Prom Night, its pop culture mentioned in rap songs! As well as having lots of mysterious mute bits, the song "Light Up" by African Canadian rapper Drake mentions Prom Night as something to be nervous of, and not just because you're nervous of dancing or spilling something on your rented tuxedo! No, because some chick ALWAYS shows up and blows the place up after a bucket of pigs blood dropped from the theatre lights and hit her popular date on the head, knocking him out, and then drenching her. She snaps, and the whole town goes up in flames, we've all seen the documentary, so why would we want to go to "prom night"? And yet we all eat animal flesh, which has had blood running through it,next to it, right? Its interesting to think about how we all thought of how "meat" was made, so we know that animals go in alive, and then they are "humanely put down" and cut up somehow, but what do we think happens to their blood? To their heads, and eyeballs, and feet? It all goes somewhere, and apparently that includes pigs blood in buckets at prom night. the Vegan ones who didn't want to end up covered in pigs blood, they stayed at home and listened to Michael Jackson all by himself, yup! Well, most of us grew up Non Vegan, so yup, thats something to talk about when someone mentions "oh, I could never give up pig flesh, its great!" You could jokingly remind them that the great documentary Carrie lets us all know thats what people are made out of too, including those who've stepped on sparking electrical cables! Teddy Duchamp, one of the boys in Stand By Me, what a fantastic movie! Stand By Me, great movie, fantastic song too! Stephen King has a thing for yesteryear, often writing about 1950's, early 1960's America. The world sure has changed a lot since then, such as smoking Tobacco - once EVERYONE apparently "smoked", now, its becoming rarer and rarer, New Zealand wants to have a smoking ban by 2020. Here, in Carrie, we find even ambulance drivers heading to attend a fire and tend to burns victims smoke tobacco! By the way, here its a "gas main", which I believe is actual gas, as in LPG, not the American term "gas" for petrol, like the book….sorry, documentary……and its earlier mentioned petrol station fires. And here, from the latest King novel, 11.22.63, where people ALSO smoked all the time back in the 1950's, alongside many other changes in society! It really wasn't all that long ago we had segregation in the USA, Apartheid in South Africa back in the 80's, almost in my lifetime! Why, I was born in 1987, in my lifetime theres been a wall dividing two parts of Germany! I was technically alive during Prime Ministers Geoffrey Palmer (1984-1989), Mike Moore (1990-1993) and Jim Bolger (1990-1997) (although hardly anyone talks about them now, EVERYONE seems to have forgotten them!). But the first prime ministers, leaders of New Zealand that I can remember were Jenny Shipley and Helen Clark! As much as I don't like centre Right party Nationals policies, its kinda cool to have a MAN leading the country, to know that one day I too could dream of being Prime Minister…..if I was rich and had all kinds of good connections! Maybe I should slip the 30 pieces of silver to Rebecca after all, to get in her good books when she might be a city councillor! 30 pieces of silver, or $6 dollars, whatever works out cheaper. The first ten years of my life we had male prime ministers, but I don't remember them, I only remember paying attention to politics around age 12 or so, Jenny Shipley being in charge, and then Helen Clark who lead from 1999 till 2008! I cant imagine life without my iPhone, without the internet, without podcasts, of taking a few dozen photos a day, selecting the best ones and sharing instantly with friends around the world……imagine life at the time, life with the all shadowing threat of the Soviet Union in peoples lives, or segregation, apartheid, how would it feel if someone told you "one day this will go away", could you imagine it not being there anymore, would you believe them? We can even see huge changes in terms of the Olympic Games. Back in 1936, they had an interesting games, held in Germany, where the local light skinned athletes were trumpeted as being "the master race", only to be beaten by African American Jesse Owens in the running races. Yet in both Germany and his own nation, gold medalist Jesse Owens had a rough life. These clips are from the fantastic podcast "The Bugle", starring Jon Oliver from The Daily Show and his friend Andy Zaltzman. A 1936 Olympics ethnically African champion compared to a 2012 Olympics ethnically African champion, theres been quite a difference over the years! 1936-2012 might SOUND like forever, but really, its just 76 years, or the average lifespan, to see such wild change. From not being allowed in passenger elevators because of the colour of your skin, being treated as "stock", as "property" and having to slink into the freight elevator for your own gold medal winning reception, to showboating as often as possible, and mugging for the cameras. Bolt even borrowed a journalists camera and starting taking photos at the Olympics. Different times! 76 years might simultaneously sound a long time, while not actually being that long for such huge culture shock changes, but we don't have to wait that long. Here are two recent Kanye West songs, released online one after the other, by the African American rapper. "….mink dragging on the floor….."
"vege-tary with the brown rice…." From trying to offend an Animal Right-ish group by wearing animal skin with the hair left on "…..mink dragging cross the floor" to eating quote "vegetary" , a little bit of progress between just two songs! 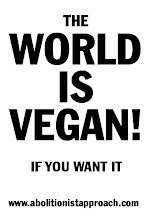 Things are moving fast for the Animal Rights Movement, with Vegan groups promoting Veganism all around the world, be it through monthly potlucks, or, through trying to reach the cities children, through placing propaga…..brainwash……BOOKS in the library. 76 years between one ethnically African gold medalist having to take the stock, property, freight elevator, and then another ethnically African gold medalist showing off for the cameras, putting himself on public display worldwide. Lets see what kind of progress we can make for the Vegan cause in *our* lifetimes! Thank you for listening to Coexisting With Nonhuman Animals, Episode 84- Hellhounds with Hotdogs accompany Stephen King and Men in Tutus. I'm also on Facebook and Twitter, Jordan Wyatt, W Y A T T, and please "like" our groups, Invercargill Vegan Society, and Coexisting With Nonhuman Animals. Carrie, telekinetic crazy girl who blows up "Prom Night"
Stand By Me (Teddy Duchamp character), what a great movie! clip from The Shining "Heres johnny!" for "heres Carrie"
Usain Bolt fastest runner in the world, arrogant, cocky as heck! Tobacco smoking ban hopefully by 2020? fake question "…your campaign has the momentum of a runaway train, whats the secret to your success…."